Martin Sherwood has many years’ experience of small company fundraising and in particular the tax-efficient investment market, specialising in the Hospitality & Leisure Sectors. Martin is currently chairman of the four British Country Inns companies and of Halcyon Hotels and Resorts plc, which until recently was in joint venture with Luxury Family Hotels, which he helped launch 20 years ago. He has led the equity fund-raising for the Central London bar/restaurant group Imbiba in recent years and also funded the roll-out of CERU, the new Eastern Mediterranean casual dining brand. 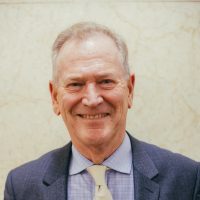 He was founder and head of Tax Efficient Solutions, first at Teather & Greenwood (1997-2004) and subsequently at Smith & Williamson (2004-2010), which he left to found Enterprise (www.enterprise-ip.com). Martin has been closely involved in both Venture Capital Trusts and Enterprise Investment Schemes since their inception, and is a founder director of the EIS Association (www.eisa.org.uk), the official trade association of the EIS industry. Martin works very closely with a wide range of Hospitality & Leisure entrepreneurs and has a significant network of investors and professional contacts as well as being a serial investor in his own right.